Arya Permana's daily diet consisted of five meals that included rice, instant noodles, meat, fish and fizzy drinks. A 10-year-old Indonesian boy made news last year for weighing about 192kg because of his diet of five meals a day — comprising instant noodles, rice, meat and fish, which he consumed along with huge amounts of cola. His unhealthy food habits and obesity resulted in his inability to go to school, while many, even those from neighbouring provinces flocked to get a glimpse of him. 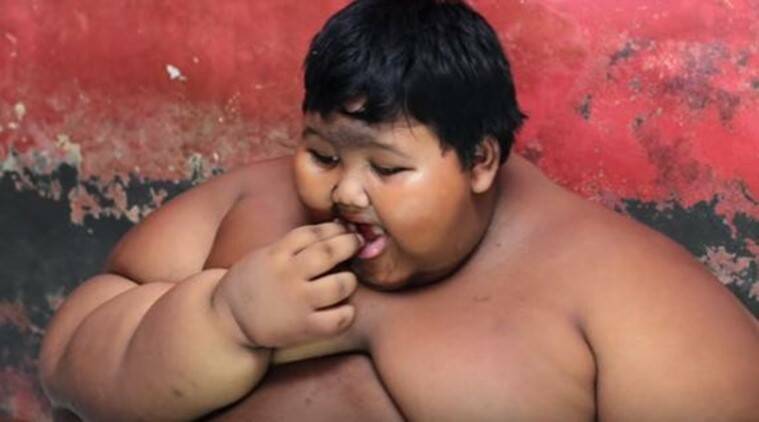 Arya Permana, who became popular as the world’s most obese kid, is now reportedly being ‘forced’ to undergo surgery to reduce weight. According to a report by Mirror, a ‘morbidly obese’ Permana could not even walk because of his weight, while his parents struggled to find clothes that fit him. His worried parents – mother Rokayah and father Ade Somantri, – began pleading with doctors to save their son. While they set him on a strict diet that required him to eat only fruits and vegetables, he reportedly only lost about 6kg after that. Following this, doctors carried out bariatric surgery on April 17 on Permana to save him. He reportedly underwent sleeve gastrectomy that would reduce the size of his stomach, which in turn will reduce the food proportions he will consume and thus help him in reducing further weight. The operation is also expected to result in decreased productions of the ghrelin hormone in his system, which should result in a decrease in hunger. Watch video of Arya Permana here. According to a report by Daily Mail, this is after Permana, even with his five meals a day consisting of noodles and cola used to complain about still being hungry. He has apparently lost about 16kg in the two weeks after the operation. Since then, he has lost an addition 2.7kg. His mother is ecstatic but said the decision to let him be operated upon was very difficult to make. “He has now lost 20 kilos. We are happy and relieved but he is still overweight for his age. We are hoping that one day he will lose all the extra weight and be as healthy as other children at his class,” his mother was quoted saying, by Daily Mail. 1 Why dieting may not help you to lose weight?